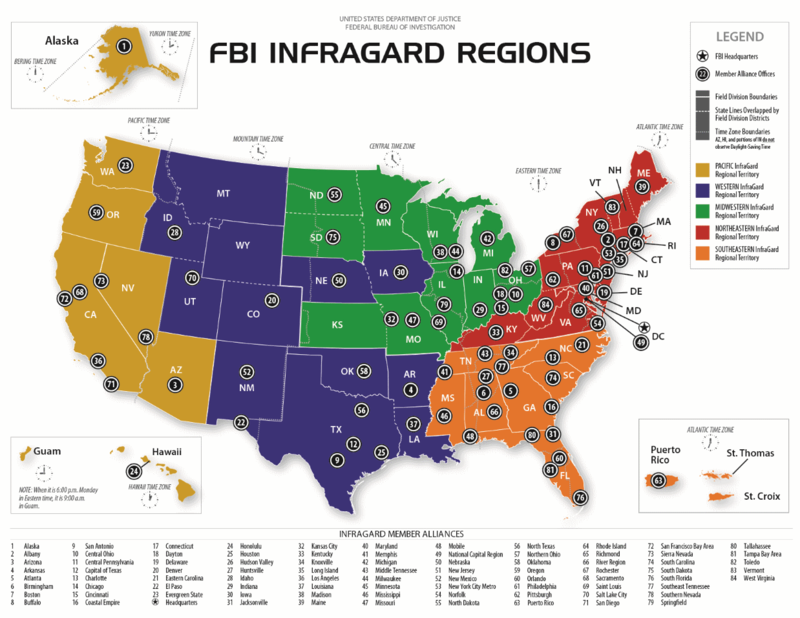 The EMP SIG regions reflect those of INMA (InfraGard National Members Alliance) and can be seen in the graphic below. Currently, the regional involvement is being developed and not all regions have entities, as they are formed and developed, information will be provided on the related regional page. Please see each regional page for more specific information about those regional organizations.